If you can’t wait to try out some of Lion’s new features, but don’t have access to the developer preview, I’ve got good news: You can get many of Lion’s features in Snow Leopard using third-party apps, tweaks and downloads. If you want the new look of Lion, there are already several themes for Snow Leopard that mimic it. One from deviantART user Lukeedee has to be my favorite, though. To use it, you’ll need to install ThemePark, a free theme editing app for OS X. You’ll also need to download the theme itself, of course. To apply the theme, open the “Aqua Lion” file in ThemePark and hit the “Apply Theme” button, and then log out and log back in. You can make the theme even more convincing by downloading Lion’s new wallpapers, courtesy of deviantART user lordalpha1. 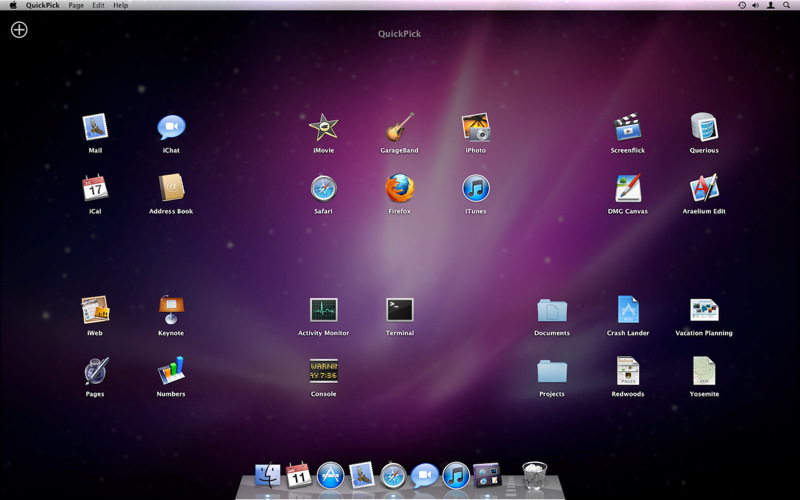 Lion’s Launchpad provides an easy way to access every app on your system. The closest thing to this on Snow Leopard is an app called QuickPick. QuickPick also has a few extra things that Launchpad doesn’t, such as the ability to launch files, and the ability to launch apps with keyboard shortcuts. 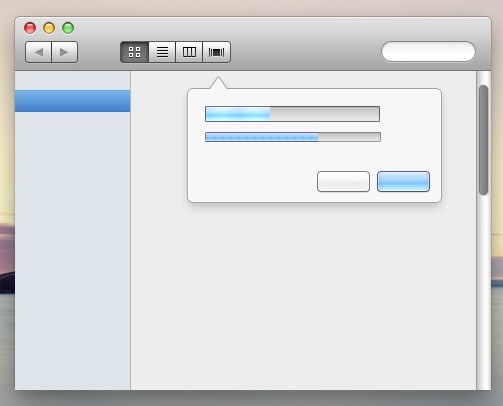 Lion’s AirDrop integrates into the Finder and makes it easy to share files with other users on your wireless network. There’s a free app called DropCopy which provides much of the same functionality. DropCopy doesn’t integrate with the Finder like AirDrop does; instead, it places a movable “drop zone” on the user’s desktop. The user simply drags a file to the drop zone, where they can choose to share it with any Mac on their network that’s also running DropCopy. DropCopy has some advantages over the minimalistic AirDrop. There are DropCopy apps available for iOS, so you can share files with your mobile devices. DropCopy doesn’t require a password to transfer files, and it also has the ability to send text messages to each Mac it’s connected to, which is pretty handy. Open /System/Library/Core Services/ in Finder and find the file named “Dock”. Right click on the file and choose “Show Package Contents”. Open the Contents folder, and then the Resources folder. Copy every file that has “indicator” in its name to another folder for safe keeping, then move them to the Trash. You can do a spotlight search in the Finder window to find them. Restart the Dock by opening Terminal (/Applications/Utilities) and running the command “killall Dock”. The Dock will disappear for a second, then come back up with the indicators gone. If you want the indicators back, select the indicator files from the backup location you copied them to, and copy them back to the location where you first found them, enter your password, and then restart the Dock with the Terminal again. In Lion, scrolling is reversed, so you push content the way you want it to go, like on iOS. There’s a free app called Scroll Reverser that reverses the scrolling on Snow Leopard, so you can get a feel for this before it arrives. Don’t worry, even if you can’t get used to it, Apple offers a way to reverse it in Lion. A lot of the improvements in Safari 5.1 are Lion-only, like the new downloads manager and iOS-like gestures. However, a lot of these improvements are also coming to Snow Leopard, including Reading List and many under the hood tweaks. 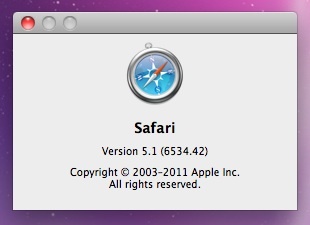 Fair warning, though: Once you install the Safari 5.1 beta, you can’t go back to a previous version. The beta is available for registered developers at Apple’s dev center, and you can register as a developer for free. Resourceful non-developers can likely find a way to download it, as well, but be forewarned that you do so at your own risk. Are there any other tweaks that can make our snow cat purr like the king of the jungle? Tell us about them in the comments. Wait, when Lion comes, I may want a few of these, but in reverse! Maybe I prefer â€œreverse scrollingâ€ in Lion rather than the new Lion way (that is, back to the old way). Etc. Developers (or preferably Apple), get moving on making these *options* and not done deals in Lion. The last one Apple tried to be radical with, Final Cut, did not go so well! Always give a way back to the old method, or sort of mostly back please, when moving forward. Itâ€™s called transition. Itâ€™s nice. Not a dose of cold water on your head! Eliminate and innovate OS changes in a way to keep the old if needed. Apple did this pretty well with 9 to X. Actually, Lion does have a preference for normal scrolling. It was even mentioned in the article. I’ll just wait. Your idea’s just add to the already over abundance of software that Lion will do away with.